A warm welcome to the Year 2’s as they start their final year in the Pre-Prep. If you have an opportunity to look at our displays – ‘aiming high in Year 2’ – you will be able to find out the targets they set themselves for this exciting year. The children are excited to take one of Barnaby Bear’s cousins home and name him. 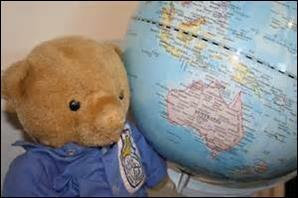 We hope that you enjoy taking the bear on any family trips or holidays. As the bear can’t write yet your child has the task of recording the adventures together. We have been learning about the continents and oceans. We wonder how far the bears will get this year? !